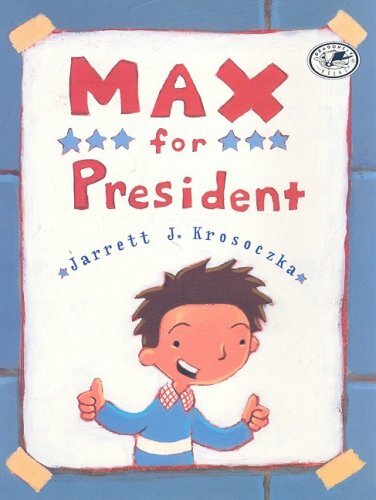 I’m not going to take long on the Obama thing, but I have to mention the three references to reading or children’s books in the informercial last night. Yes, three. In a speech segment Barack says, “No government program can turn off the TV set or put away the video games or read to your children.” The emphasis was his, as well as mine. Then the segment about the family in Kentucky starts with showing the dad reading a bedtime story to his little girl. Not bad for books and reading, huh? 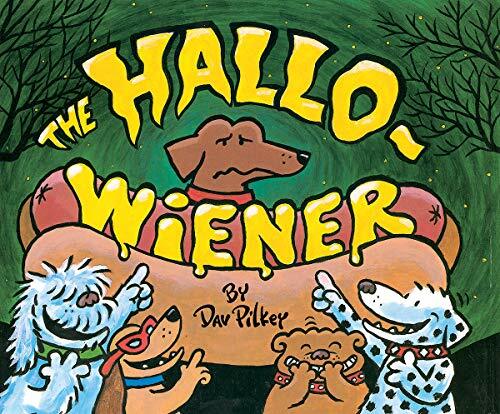 Halloween Storytime! Now with annotations! 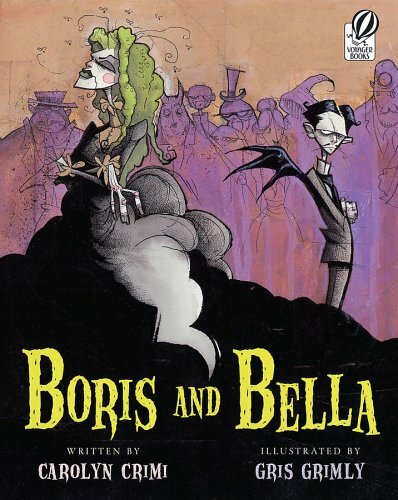 Boris and Bella, by Carolyn Crimi, takes us into the land of vampires, mummies, and monsters. But just because they’re spooky or undead doesn’t mean that they don’t have problems too. Bella Lagrossi is very messy, and Boris Kleanitoff is too neat. They are neighbors, but don’t get along. When they both try to have competing parties for Halloween, everyone goes to the house of a more congenial host instead. As Bella and Boris go to yell at Henry Beastie, they find all the flaws in the party  like maggot muffins with too much muffin and not enough maggot  and refuse to have fun. When the dancing starts, they do come together and have a good time. Of course, they learn to accept each other, and also each to make little changes for the other. It’s a funny story with great wordplay, phrasing, and puns. 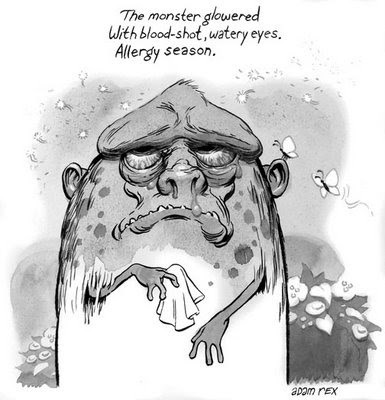 Kids love all the gross-out references in the text and illustrations. Great fun. 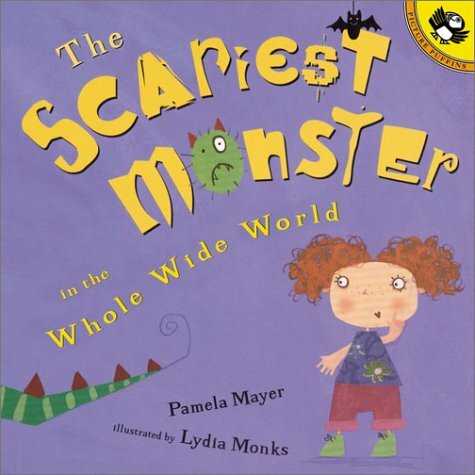 The Scariest Monster in the Whole Wide World, by Pamela Mayer, is not a monster story, despite the title. Instead, it’s about finding the right costume when kid and parents disagree. Thea Dewlicky had won second prize last year at her costume parade with her fairy costume. This year, her parents are planning the costume that is sure to win, but Thea has other ideas. She wants to be the scariest monster in the whole wide world, with scales and claws and an ax in her head. Her parents are horrified, and take her shopping to find a suitable outfit, but Thea cannot be swayed. Along comes Grandma, who lets the kid be a kid, but finds a way to make the parents happy too. Along with being a fun Halloween story, it’s a good message for over-involved parents. Who will probably totally miss the point. 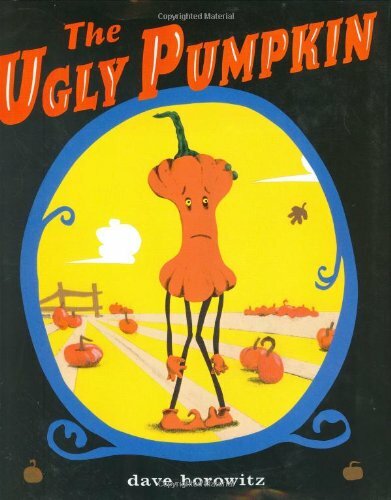 The Ugly Pumpkin, by Dave Horowitz, is about a pumpkin that isn’t picked for Halloween because he looks so strange. As he travels through November, he comes upon more like him and realizes that he’s not a pumpkin at all. He’s a squash! And he’s just in time for Thanksgiving! Cute twist on the ugly duckling story with a nice transition to the next holiday on the calendar. I know only yesterday I said that I was moving my Obama Love to YA for Obama, but I have to share this video from a rally in my home state of Virginia. It is inspirational, energizing and 100% positive. It actually gave me goosebumps and a lump in my throat. Please take the five-and-a-half minutes to watch it and pass it on to your friends. Please. 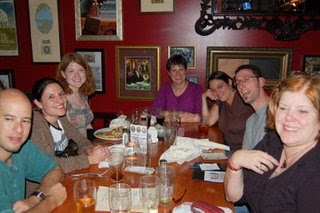 Blog the Vote is a one-day Kid and Adult Lit Blogger Event, where we all blog on Monday, November 3rd, about the importance of voting on Tuesday, November 4th. Blog the Vote is about sharing WHY it’s important to vote. It’s about the issues that will be decided by whoever wins this election. The plan is to run a One Shot event on Monday, November 3rd, where all participants blog about why they personally think voting matters this year. You can write a post that touches on historical issues or policies of significance today. Anything you want to write about that expresses the idea that voting matters is fair game. The only hard and fast rule  and this is very hard and fast  is that you do not get to bash any of the four candidates for president and vice president. Go to Chasing Ray for the official announcement and to get your post on the master list. 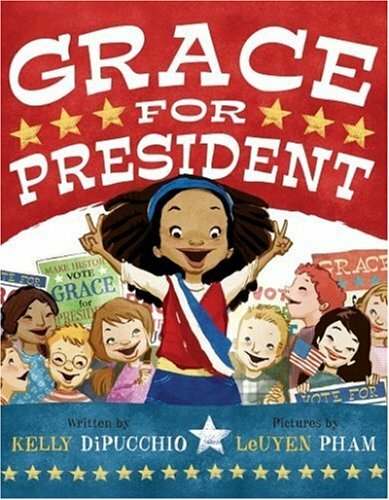 As an example, Little Willow has the right idea already with this intensely moving post that incorporates voting issues and books. A winning combination in anyone’s... um, book. If I didn’t do this, the next twelve days would be all election, all the time at MotherReader. 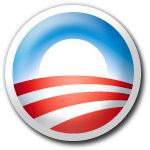 So I’ve accepted an invitation to join and post at YA for Obama. I’ve put up a new post today and uploaded two videos. (Not my own  don’t be silly.) Anyway, come on by if you need a place to read, talk, vent, and connect. You’re invited. 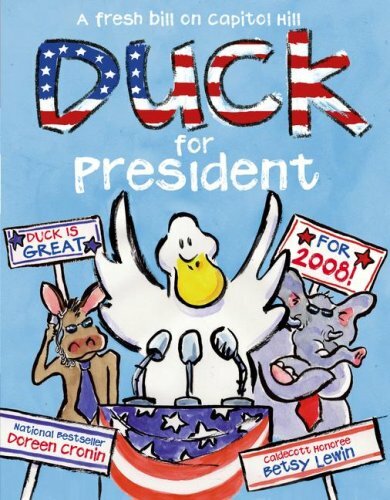 I know most of the kidlitosphere bloggers don’t like to talk about politics on their blogs, but I gave up that high ground long ago. Um... sorry? Anyway, I’m offering a safe space to comment about the debate last night because I feel that some of us  and by that I mean me  need to talk about it. McCain came off as sour, agitated and petulant. Obama  man, nothing rattles that guy. But McCain was two tics away from a vein-popping “You can’t handle the truth!” Jack Nicholson moment. Gotta love movie quotes. And this was from Crunchy Con, a blog about conservative politics and religion. Makes you wonder what the liberals are saying! Oh wait, that’s me. I found that quote in a round-up of opinions from Andrew Sullivan’s blog, a great place to find out more about the debate if you’re so inclined to do so. Or you can read the transcript at the New York Times. Like you’ve got that kind of time. 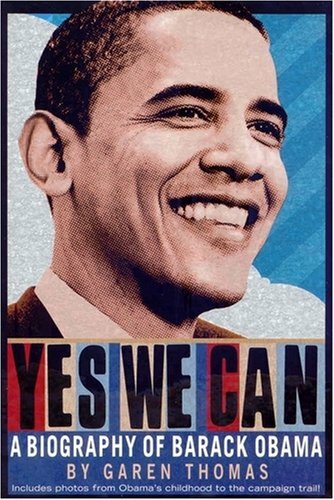 My main thought watching the debate was that Obama was calm, cool, articulate, and... presidential. McCain was like the angry old guy at the homeowner’s association meeting sniping about untrimmed hedges on the neighbor’s lawn. Now there were times I got mad. McCain’s assertion that talking about horrible things shouted at rallies equals slandering all Republican rally attendees is a ridiculous diversion from a serious issue. I don’t think “health” of the mother should be put in finger quotes, no matter what you think the “pro-abortion movement” (my quotes are deliberate and derisive) is doing. I was baffled by the rising celebrity of Joe the Plumber. Anyone else think that maybe Joe just needs a good accountant? Oh, and there were moments of amusement. The crowd actually laughed at the question of the moderator, “Why would the country be better off if your running mate became president rather than his running mate?” Obama talked about why Biden would be good president if need be. McCain instead talked about Palin like she was his feisty kid, even saying that he was proud of her. Gee, thanks, Dad. One of the best examples of Obama’s coolness, and his way of turning the topic around, was at this point in the debate. OBAMA: You know, I think it’s  that’s going to be up to the American people. I think that, obviously, she’s a capable politician who has, I think, excited the  a base in the Republican Party. Personally, I wouldn’t have been able to hold back a laugh at that question. This would also have been an ideal time for Obama to make sure that McCain understands that Palin’s son has Down’s Syndrome, not autism. I would have paid money to see that correction by Obama with a pointed and yet totally cool look. Awwwk-ward. Overall, I thought it was certainly a more interesting debate than the other two. I do wonder if McCain realizes that going completely negative during the debate gave Obama the opportunity to answer all the criticism with his actual policies and the actual truth. In some ways, the whole debate came off more like the world’s angriest interview of Obama. Oh, computer! I missed you sooo much! My computer needed a little adjustment and left me stranded with Bill’s laptop hooked up to the Internet. Honestly, it was only a step up from using an Etch-A-Sketch and smoke signals. Good news for Bill, though, since I am totally on board with him getting a new computer. In fact, I’m surprised at the depth of his patience for having waited so long. He’s a good man. Anyway, now to the letter G. There aren’t great songs for this letter, as far as I know, and I’m not sure if the fingerplay rhymes are in public domain. Hmmm. I’ll just give you extra books. It wasn’t easy making a new America that we could all enjoy in our own political ideology. It wasn’t easy, but it was fun. And you can do it too! First I had to put Maryland, the District of Columbia, Vermont, and Hawaii in the blue  which was a given for all states concerned. Next, we had to make some tough state trades. We’re giving up New Mexico for Idaho; North Carolina for Indiana and West Virginia; and Colorado for Kentucky (this is clearly the most painful). But most importantly we need a land bridge to connect the East and West coasts, so a big sacrifice needs to be made. We’re giving up Florida for Montana, Wyoming, North Dakota, and South Dakota. It’s unfortunate, but necessary. You know what? Given global warming, Florida isn’t going to be worth much soon anyway. Sorry about Disney World though. There you have it. Welcome to the Divided States of America. Let each section run itself as it sees fit. Lately, it seems like the only option. F is for What the...? Sorry, still thinking about the election and debate. I’ll only say one thing about the debate last night: High Def is not McCain’s friend. Honestly, the man looked like the crypt-keeper. Okay, okay, one more day of politics. Sarah Palin actually did well in the debate in that she spoke in a folksy way that people seem to enjoy (“doggone it”), she looked directly in the camera like a trained newscaster (or a celebrity), and she recognized her audience as the people watching on TV (Ifill who?). It was an... interesting approach to the debate to just ignore the questions posed if she didn’t like them. I wouldn’t have guessed one could do that. And apparently any trace of substance was totally off the table in favor of generalities, slogans, and jingoism. I read a comment somewhere that compared the debate to her cramming for a test and then padding the exam questions. My thoughts? “You betcha.” In case you missed it, here’s a short video of debate highlights that sums up the style pretty well. It’s got to be all about job creation, too. And putting it back on the right track. And tax relief for Americans. Not as a competitive, scary thing. Already from last night we have, “I may not answer the question / The way you want to hear / But I’ll talk straight / To the American people / And let them know my track record.” What more is there to say? Oh, Poetry Friday is hosted at Two Writing Teachers.